Available with a variety of engine options including both petrol and diesel and a range of specifications such as SE, Sport, AMG Line and AMG The A-Class has something to suit all tastes and pockets. The interior has a smart look and feel to it throughout all the different models with a classy theme being the one main factor. The choice of engine size, transmission and fuel is extensive, choose from highly economical engines to the top end sports engines that can generate up to 350bhp, not bad for a family hatchback. Manual or automatic transmission options are also available subject to the model. The new tablet style screen lets you control all your entertainment and communication easily. Artico leather comes as standard as does a reversing camera, Bluetooth and climate control. Boot space is also sufficient for most journeys or situations at 341 litres. To find out how much your new A-Class could cost you with our money saving deals simply fill in the online quote form today. 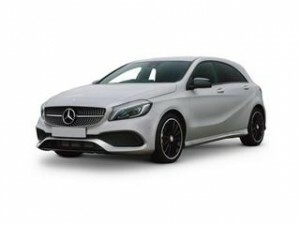 Choose the model, spec and any extras you require and we can quote you online saving you maybe thousands off a list price A-Class today.